All of the YewdaleDefiant® C20 sidewinder cassetted blinds come with an enclosed aluminium head-box as standard. This cassette is designed for top or face fixing and accommodates 32, 45, 53 or 70mm grooved aluminium barrels, depending on blind size and fabric weight. 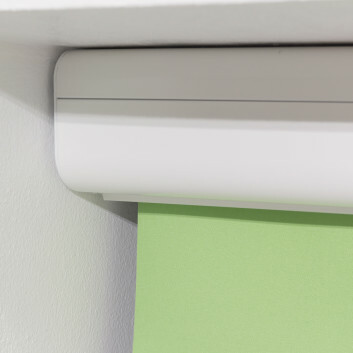 Fabric is locked into a groove in the barrel, and features aluminium bottom bar. 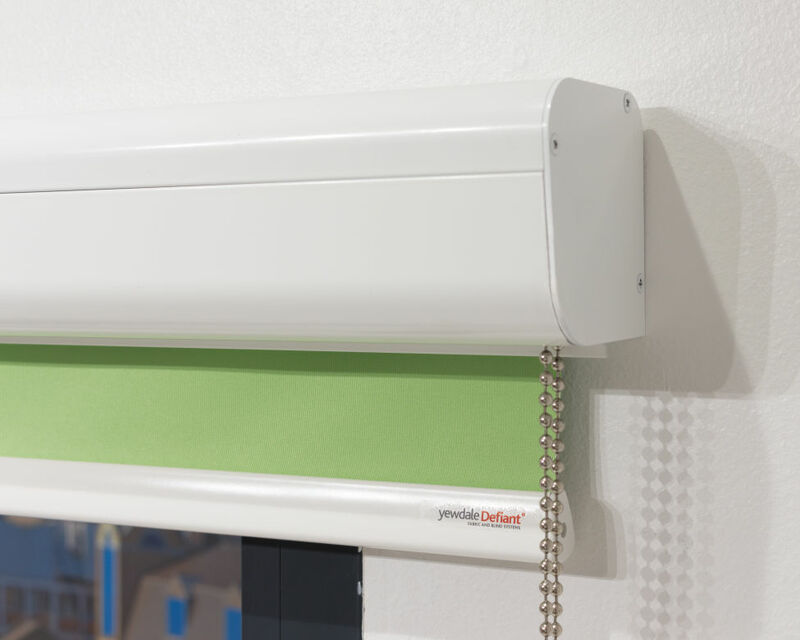 A robust Slipstream® sidewinder mechanism provides the effective means of operation with the use of metal control chain, held in place by a chain tidy. Black or white hardware as standard. 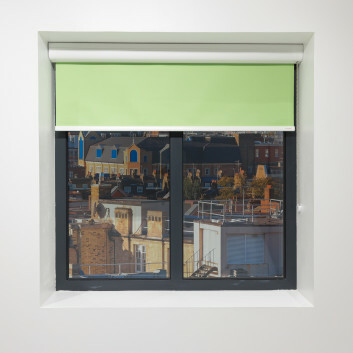 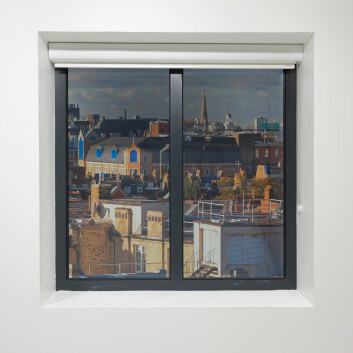 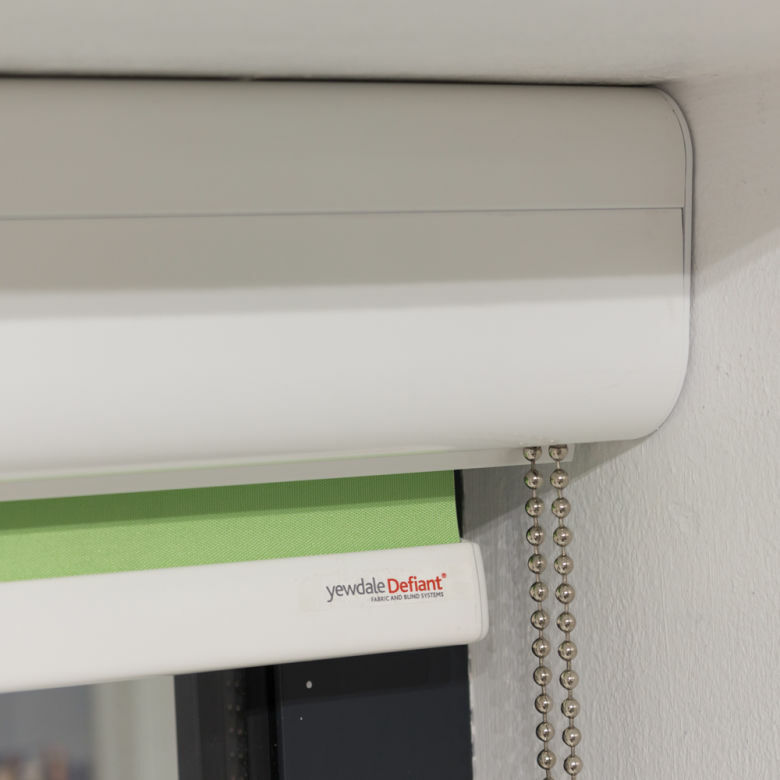 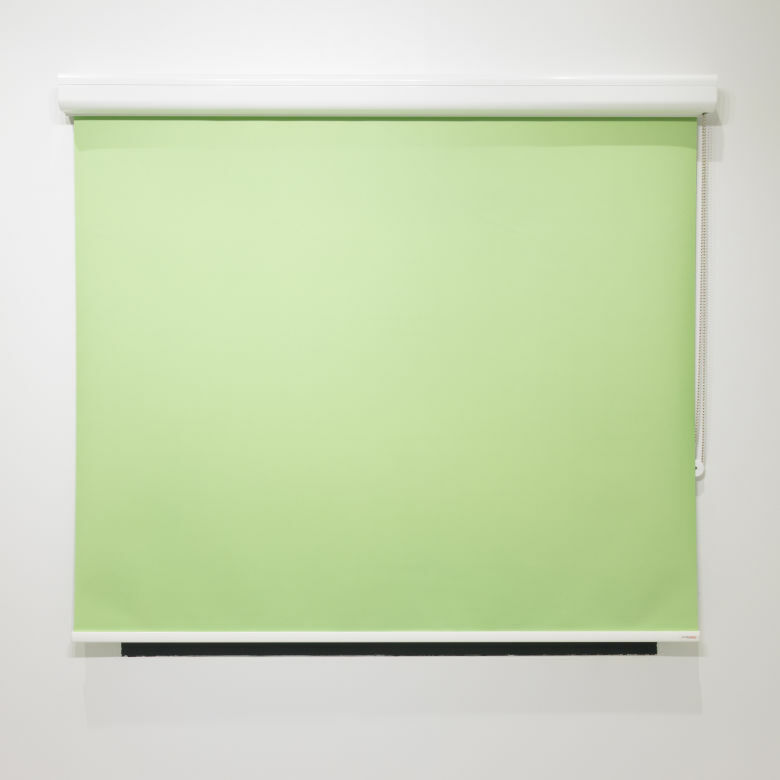 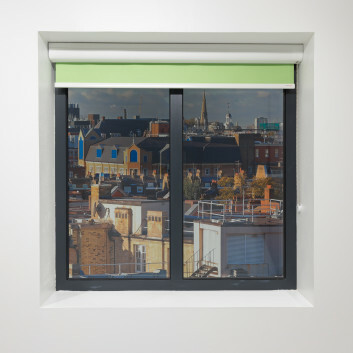 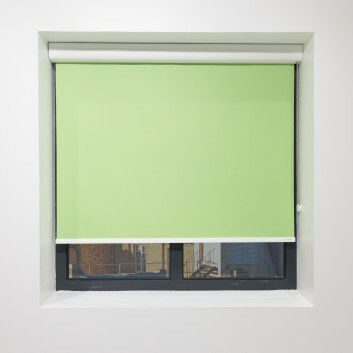 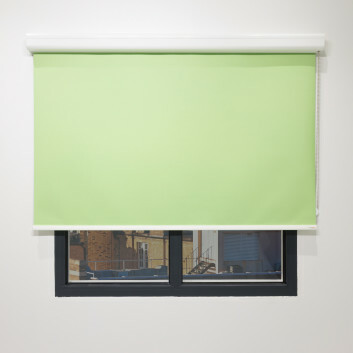 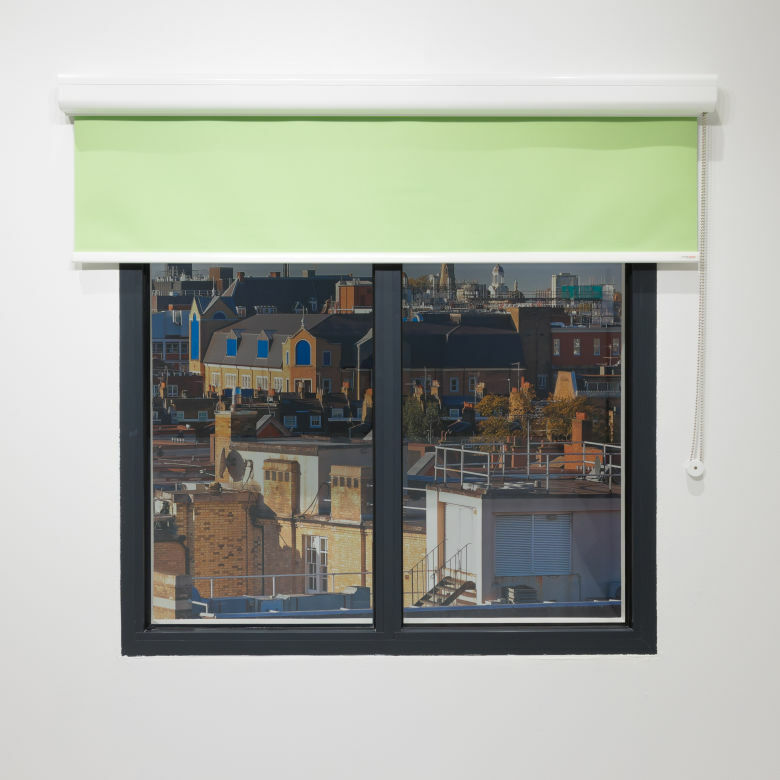 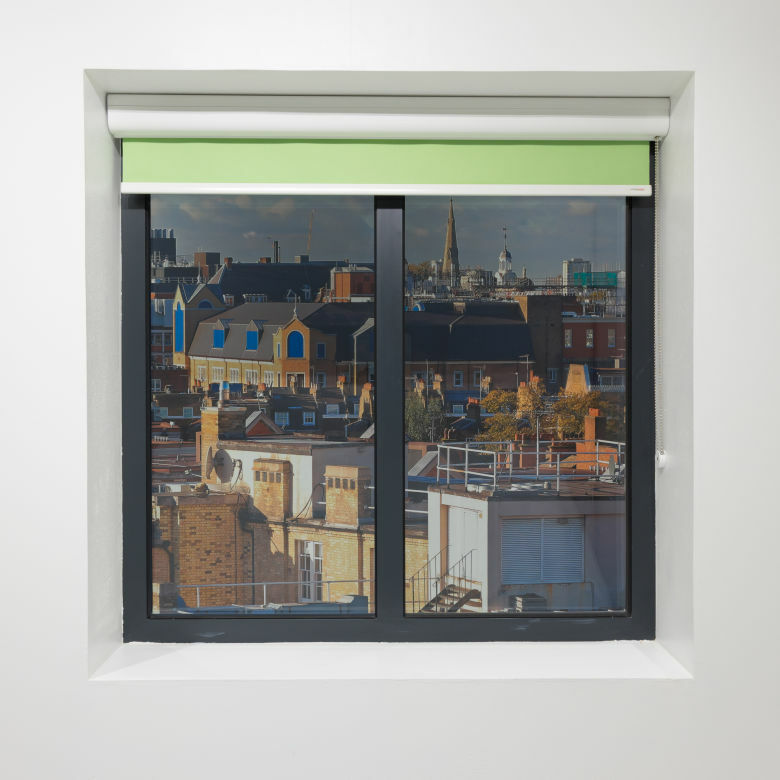 The excellent performance of a YewdaleDefiant® cassetted blind offers an aesthetically pleasing solution, protecting the fabric in the process. 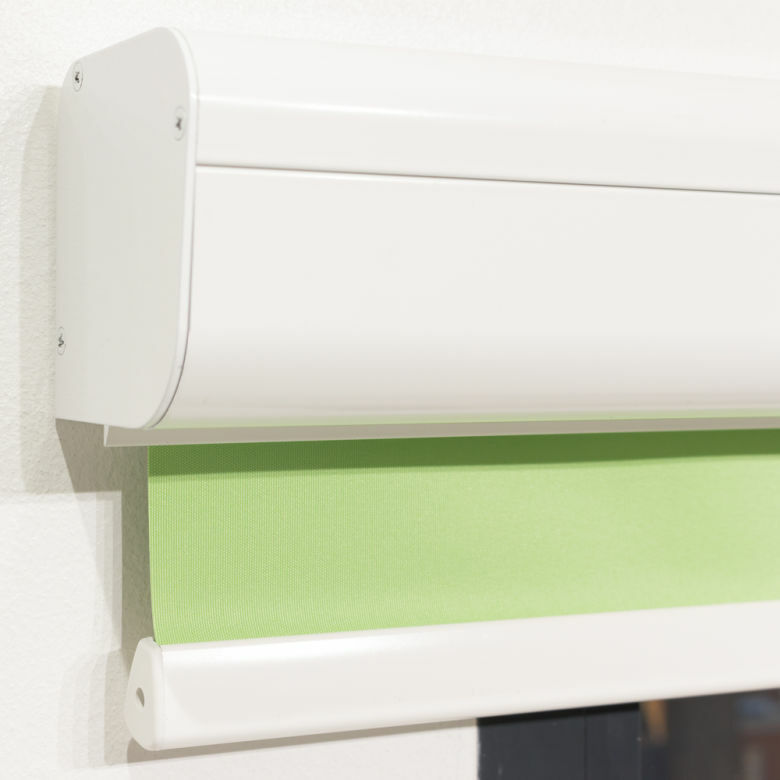 The quality sidewinder mechanisms are simple to operate and allow accurate control of blind position. 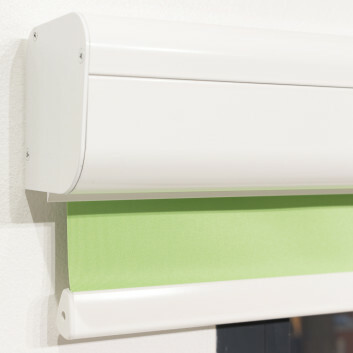 Black or white hardware; With side channels, C40-60/90/120; Tracker fabric retaining system; Available in any RAL colour. 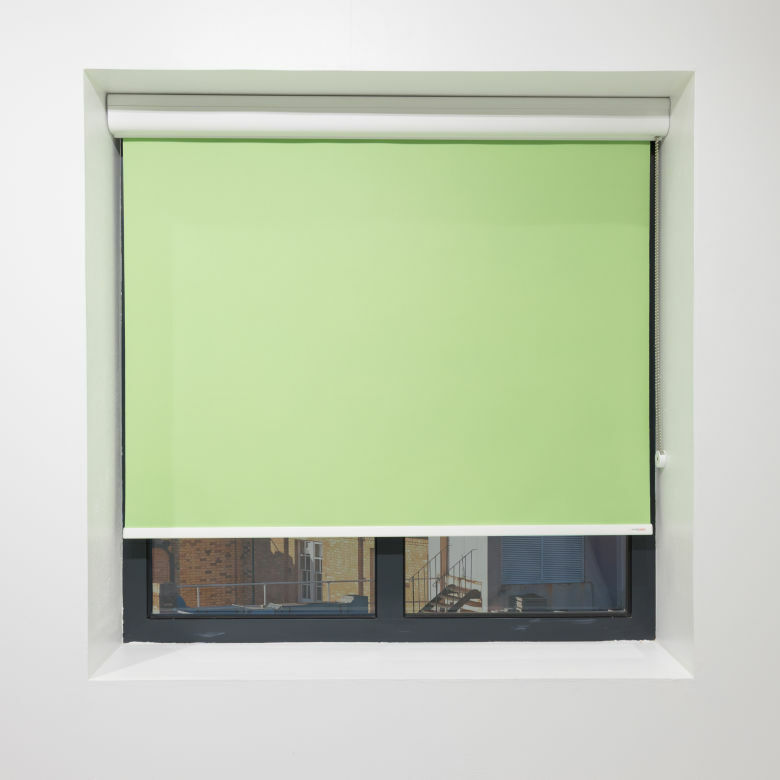 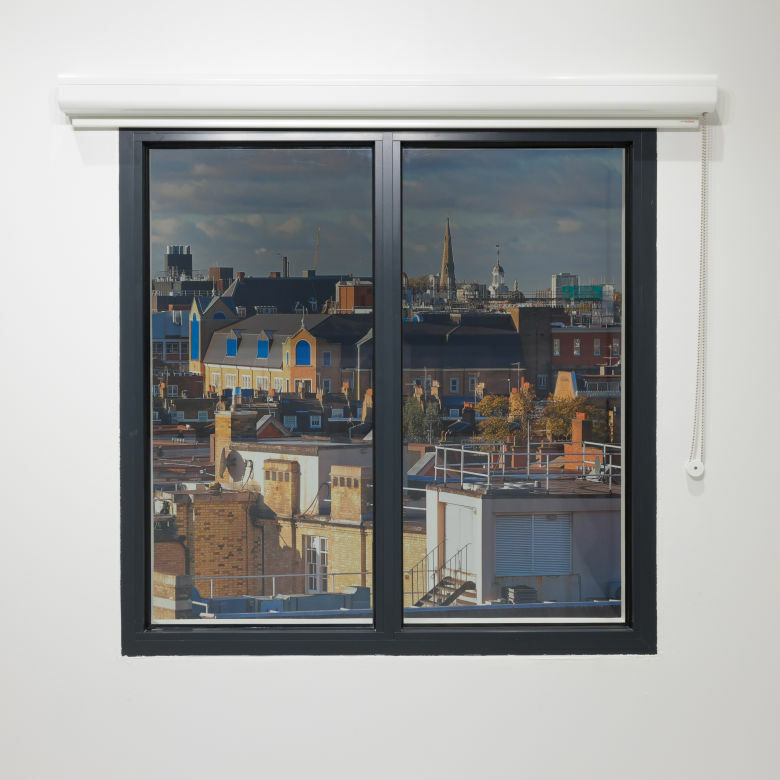 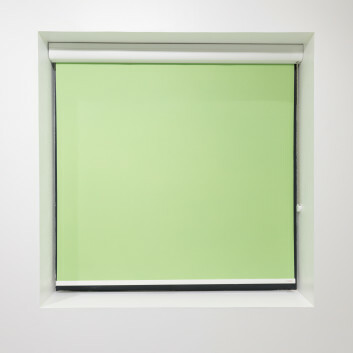 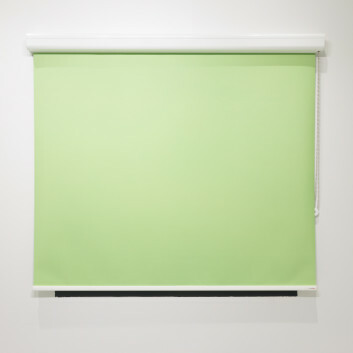 YewdaleDefiant® C20-60/90/120 cassetted blind as manufactured by Yewdale, +44 (0)1268 570900. 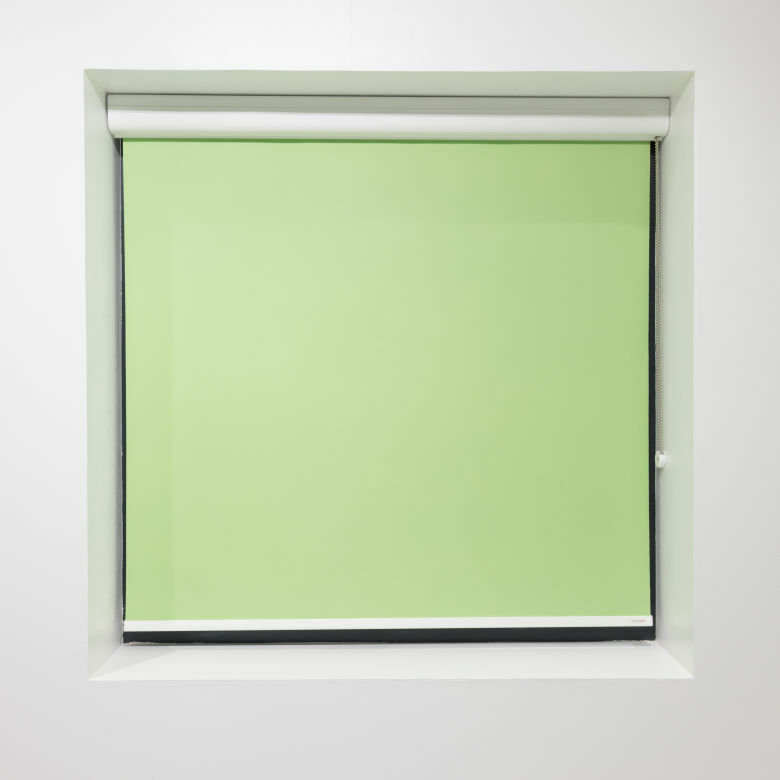 Flame retardant fabric from the YewdaleDefiant® range, locked into grooved 32/45/53/70mm aluminium barrel along with aluminium Tear Drop bottom bar as standard. Black/white aluminium cassette and bottom bar and incorporating metal control chain.